Where were you 35 years ago? Chris could tell you where he was. He was setting a new world record for duration Jive Dancing. In 1978, Chris danced for 63 hours of consecutive jive dancing with 25 different partners in Winnipeg, Manitoba. That should demonstrate some of the positive benefits of dance, because Chris is still dancing and teaching today. As a young adult, Chris would frequent the Discos and light up the dance floor with his own unique style of gymnastic dance moves. Shortly thereafter, Chris started honing his ballroom dance skills at Fred Astaire’s and Arthur Murray Dance Studios. He practiced his own skills at such places as the Hollow Mug Dinner Theatre (circa 1975). The house band played great ballroom music for dancing and watching the performances just encouraged Chris in his pursuit to be in the public eye. Chris has now been in the public eye in a variety of ways throughout his life, as mentioned in the opening statement. They include hotel and mall openings, Bay fashion shows, and more recently, an extra on the movie, Shall We Dance, that was filmed in Winnipeg. It was shortly after that movie that he met his wife, Deborah, in a dance studio of course. She shared his love for dancing and performing. They performed at Global TV’s Xmas party, Winnipeg’s Mardi Gras, and many other special events. Chris and his wife have taught dance on cruise ships and, while on vacation, in the Dominican and Mexico. They were instructors with Winnipeg’s first “Dancing with the Celebs” fund raiser for SMD Manitoba. Chris and Deborah have co-taught dancing in Selkirk, Gimli, and City of Winnipeg leisure programs for many years. Chris now shares his love of dance at Shirley’s Dance Studio where both he and Deborah were graciously accepted as instructors. 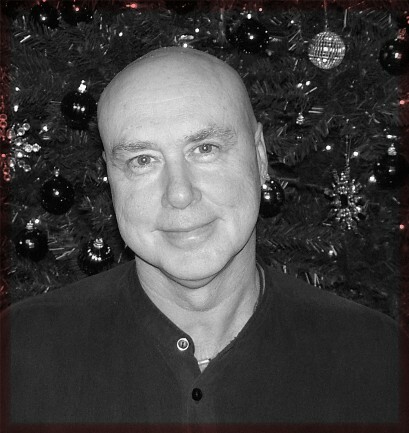 Chris is also a Certified Counsellor and Reiki Master Teacher/Practitioner . Though this may seem like a contrast to dancing, they are very complimentary. Reiki, as is dancing, provides an individual with the balance of mind, body and spirit. Keep yourself in balance and take dancing for all the fun benefits it provides.